GoGo Photo Contest is all about immersing your participants in your organization's mission. We know that it's important for your photo contest to reflect your identity! GoGo Photo Contest allows your organization to run an entire donate-to-vote photo contest fundraiser online: Entering and voting happens through a customized photo contest site that's created just for your organization, backed by our easy-to-use software. 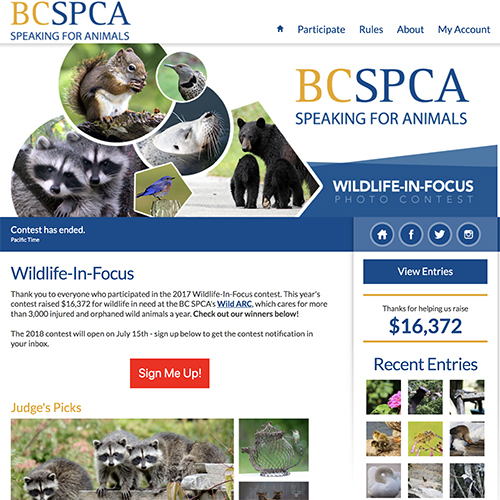 Entrants upload their photos directly to your photo contest site, and participants donate for votes where $1 = 1 vote. All of the voting is managed by our software, which means that the contest results are always shown in real time and there's never a question as to who is currently in the lead. When your contest ends, the entries with the most votes win the contest and the prize(s) associated with the top spot! You can even award prizes to the top winners in individual categories. Our goal is to make running a photo contest as simple as possible. There are FOUR EASY STEPS to launching your own photo contest! This one is on us! Once you have returned the items that we need to set up your photo contest, we'll get right to work creating your site while you sit back and relax. Most photo contests are set up in under a week. We will work to meet your launch date! Before your photo contest can launch, we'll have you set up a merchant account with our payment processor, Stripe (stripe.com). This is a very simple process, similar to setting up a PayPal account, and allows all entry/voting donations to go directly into your bank account (minus any credit card processing fees and transaction fees: gogophotocontest.com/pricing). Once this information is in place, your photo contest can begin! Share your contest on your website, Facebook, via email, and at any events you may have. We've created a page with tips to running a successful photo contest; or, watch our handy video below! Why should your organization run a photo contest fundraiser with GoGo Photo Contest? 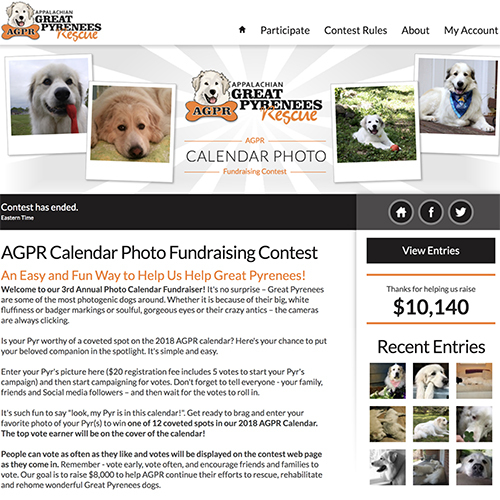 Raise Funds in a Fun and Creative Way - Unlike traditional fundraising campaigns that rely heavily on emotional appeals and direct mail, GoGo Photo Contest provides a way for your constituents to give to your organization, have fun in the process and maybe even win a great prize when the contest is over. Benefit From Network Effects - With GoGo Photo Contest, you will not only raise funds from your existing constituents, but from their friends and family as well. Since you're running a contest, your entrants are motivated and encouraged to share their entries through Facebook, Twitter and other social networks. Grow Your Constituency - Organizations that have previously run contest find that many of their entries are from people that are not part of their existing constituency lists. 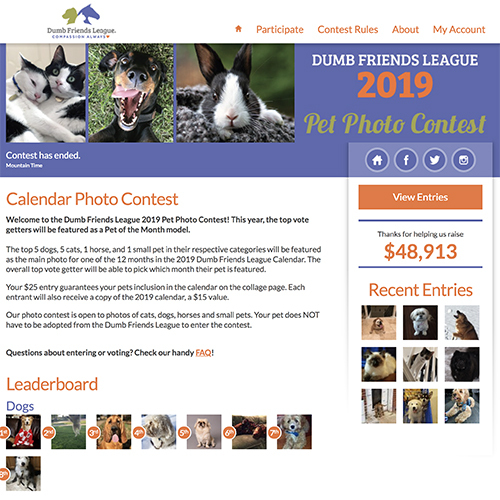 Participants often learn about the contest through social media or other promotional strategies you may employ to promote your photo contest. At the end of your contest, you'll receive full contact information for each person that participated in the contest. Why should you use GoGo Photo Contest for your next photo contest fundraiser? 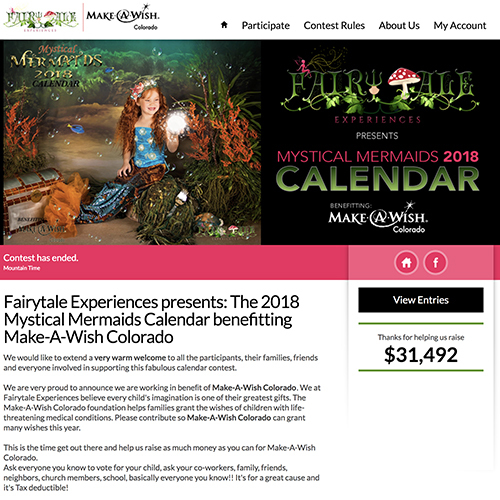 Fundraising Experience - There are several competing platforms that offer online photo contests, but GoGo Photo Contest is the only photo contest fundraising platform that's backed by a team that collectively has more than thirteen years of experience running web-based fundraisers. Next-Generation Fundraising Software - Our team has been working together for more than five years, but our contest platform has been recently rebuilt and is fresh out of the oven. The latest version of GoGo Photo Contest was developed in the summer of 2013 from scratch using the latest web technologies. GoGo Photo Contest is the only photo contest platform that was specifically designed with smart-phones, tablets and other devices in mind. Furthermore, GoGo Photo Contest takes advantage of the latest social media marketing strategies and online fundraising techniques to maximize the amount of funds your contest raises. Unmatched Support - Some photo contest platforms only offer support during business hours, which can be problematic if you have a contest ending at midnight or if you have a flurry of activity over a weekend. We're always keeping an eye on actively running contests and will promptly take care of any issues that might come up for you or your participants, day or night. Competitive Pricing - We offer a simple, straight-forward pricing structure. No setup fee. No upfront fees. 5% transaction fee on all contest donations after $5,000 has been raised. 15% transaction fee on all contest donations until $5,000 has been raised. No minimum transaction fee. No hidden fees. Please note that an additional fee is charged by the payment provider on all credit card transactions (2.9% + 30¢ a flat 2.75% per transaction). To help you determine how much you will raise after all fees, check out our Pricing Calculator. We've run over 1,200 contests. Want to see more? Contact us and we'd be happy to share! How can you promote your GoGo Photo Contest Fundraiser? Email - Email your constituent list before your contest begins, when it begins, a few days before it ends and on the last day of the fundraiser to encourage participation and remind them about important contest deadlines. 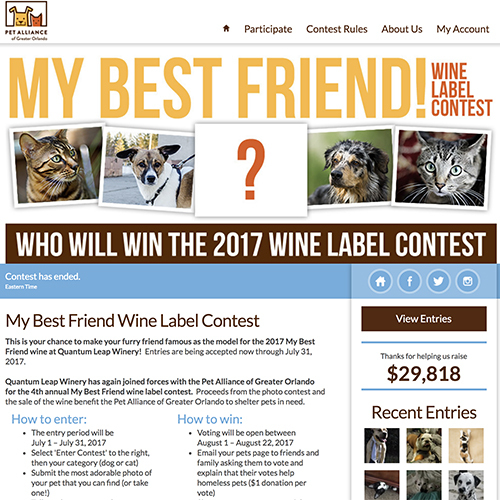 If you have an email newsletter, use it to promote your contest. 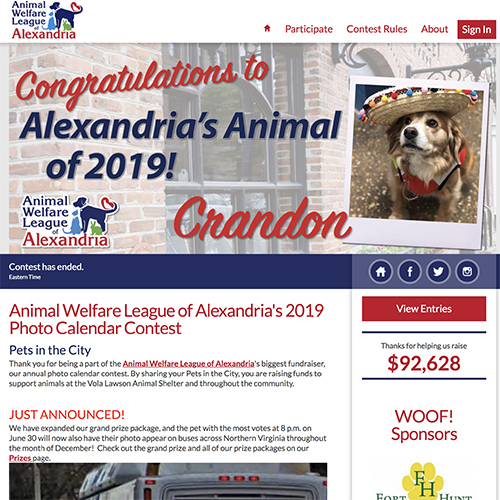 Social Media -Promote your photo contest, show off leading entries, or encourage last minute votes using your organization's Facebook page, Twitter account, Google Plus profile, LinkedIn account and Pinterest page. Direct Mail - Send a letter or post-card or other mailing to your constituent list before your contest begins. Need help creating a mailer? Contact us. Newspaper and Radio Ads - Contact newspapers, radio stations and local television stations and ask them whether they would consider offering a public service announcement to spread the word about your fundraiser. Flyers and other Print Material - Create flyers for your contest and spread them around your community and local businesses. Need help creating a flyer? Contact Us. Other Ideas - Be creative! If you come up with a unique way to promote your contest, let us know! We're here to make sure that your questions get answered and that you get the help you need at any point during the process of running a photo contest process. Whether you need to get in touch via email, phone, or live chat, we're here to help. We do not make use of outsourced customer service agents or have low-wage, under-trained employees to provide support. Rather, you'll be getting support directly from one of the three GoGo Photo Contest partners, all of whom live in Sioux Falls, SD. Learn more about our team here. Many of our contest end at times in late in the evening (often 12:00 AM Pacific, 3:00 AM Eastern). It's during this time that you'll see a whirlwind of last-minute activity from voters trying to win the top spot. Our team of seasoned night-owls will be here to support you behind the scenes while your contest is busy smashing fundraising records, even in the middle of the night.